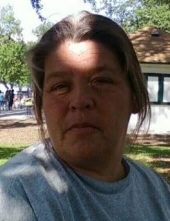 Carol Jean “Auntie” Conway, 56, Green Bay, passed away in the early hours of March 20, 2019. The daughter of George and Gladys (Gauthier) Conway was born on June 11, 1962. She worked for years in the Bingo Hall in Oneida, and enjoyed playing bingo as well. More than anything, she loved spending time with her family. She was a fierce protector of her loved ones and loved them unconditionally. Carol is survived by her mother, Gladys Stevens; children, Cheyenne Sero, Loren (Rosalva) Sero and Devin Conway; and grandchildren, Charles, Devante, Donovin, David, DeQuan. She is further survived by her siblings, Tisa (Cal) Thelen, Elizabeth Conway and Cathy Conway; her aunt Juanita Wiseman and uncle Robert Conway; Jean Randolph; special niece Melinda Conway and nephew Thomas Thelen; and other members of her extended family. She was preceded in death by her father, George; step-father Edward Stevens; siblings Nancy Marr, Thomas Ray and Georgia Conway. Family and friends may visit at Ryan Funeral Home, 305 N. Tenth Street, De Pere, beginning at 4:00 p.m. on Friday, March 22, 2019. A sharing of stories will conclude the evening at 7:00 p.m.
To send flowers or a remembrance gift to the family of Carol "Auntie" Conway, please visit our Tribute Store. Sharing of stories at 7:00. "Email Address" would like to share the life celebration of Carol "Auntie" Conway. Click on the "link" to go to share a favorite memory or leave a condolence message for the family.